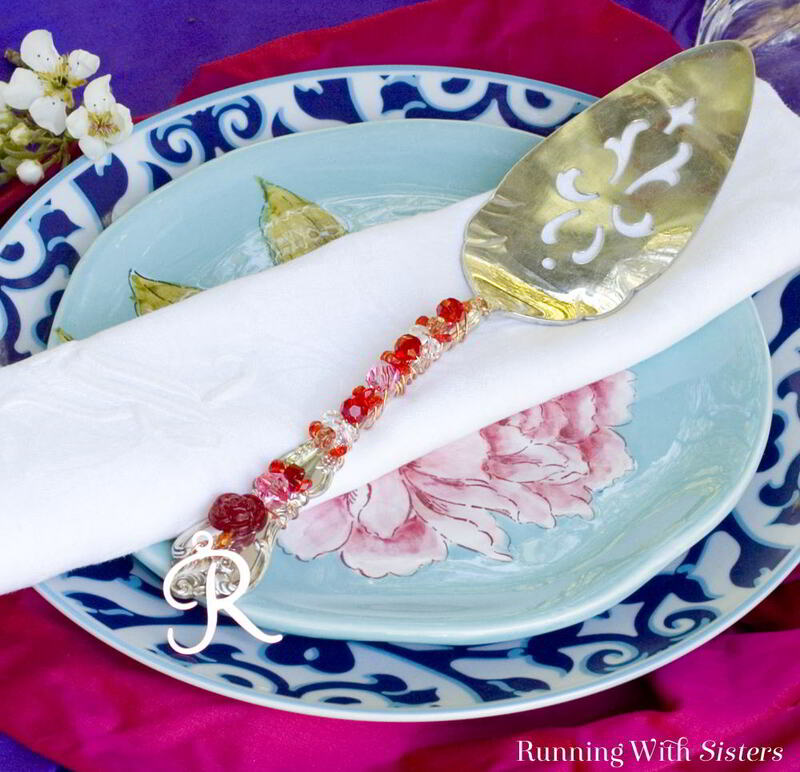 Make a Beaded Cake Server by embellishing a silver cake server with sparkling crystal beads and a fancy monogram charm. What a pretty handmade gift! 1. Twist a swirl into one end of the copper wire using the needle-nose pliers. Press the swirl flat onto the handle of the pie server at the triangular serving end. 2. Feed an orange oval bead onto the wire at the base of the swirl, then wrap the copper wire tightly around the handle. Feed an 8mm red crystal bead onto the wire so it rests on top of the handle and wrap the wire around the handle again. 3. Continue feeding beads onto the wire and wrapping the wire around the handle. For the smaller beads, feed two or three on the wire at a time to match the width of the larger beads. Alternate the beads so the colors are distributed evenly down the handle. Stop one inch from the end of the handle. 4. Finish the end by feeding the red rose bead onto the wire followed by an orange oval bead. Bend the wire 90° above the rose bead so the wire runs vertically to the end of the handle. Twist a swirl into the end of the wire at the base of the orange oval bead and trim the end with the wire snips. 5. To personalize it, attach the metal letter charm to the swirl using the copper jump ring. Easy As Pie: Want to give the hostess something more personal than a bottle of wine? 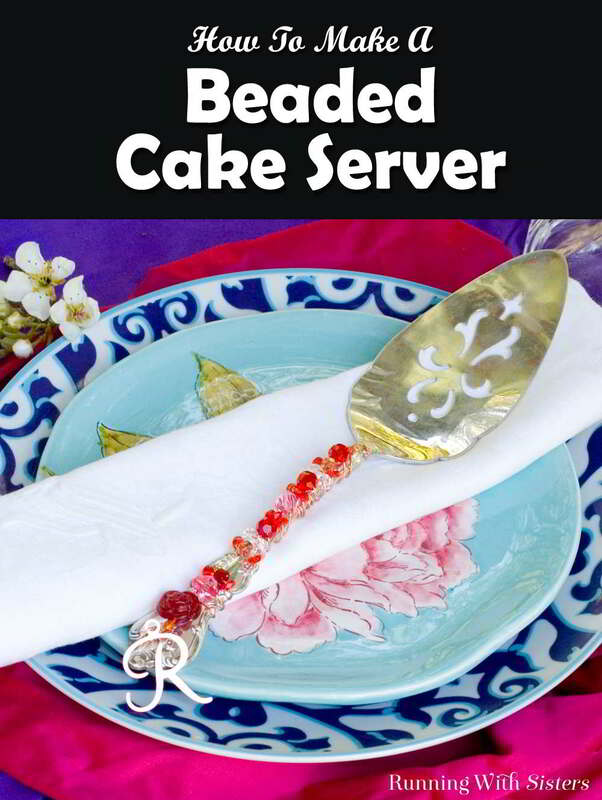 Give her this beaded pie server along with your family recipe for apple pie.